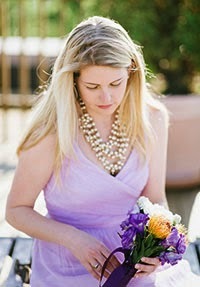 Halcyon Style: New Blog Alert! Happy Saturday! I'm kickin' it on the Cape this weekend so I'll probably have some pictures of what a summer community looks like in the dead of winter for you later on. It's rather relaxing actually. The best thing is that for the first time in YEARS my car's battery was not dead after months of cold storage! 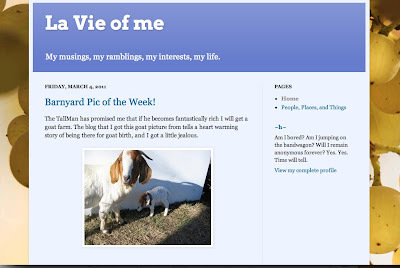 I wanted to get the word out about my friend H's new blog, La Vie of Me, which chronicles her life and interests. She recently moved out of her apartment with two days notice and her witty and sarcastic description of the process is fantastic and wildly entertaining. If I had two days to move I would probably have to be checked into the mental hospital.